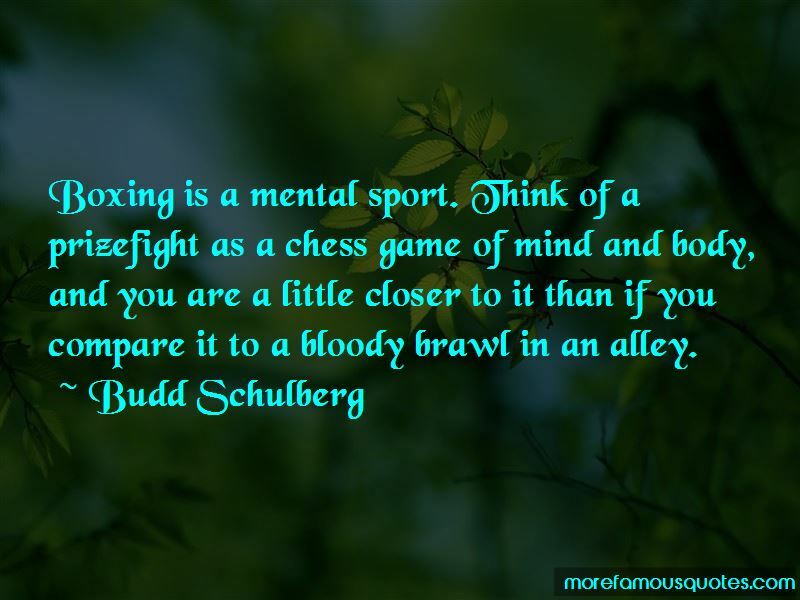 Enjoy the top 36 famous quotes, sayings and quotations by Budd Schulberg. I'd like to be remembered as someone who used their ability as a novelist or as a dramatist to say the things he felt needed to be said about the society while being as entertaining as possible. Because if you don't entertain, nobody's listening. They looked at each other until they weren't acquaintances any longer. Most of us are ready to greet our worst enemies like long-lost brothers if we think they can show us a good time, if we think they can do us any good or if we even reach the conclusion that being polite will get us just as far and help us live longer. Work hard, and if you can't work hard, be smart; and, if you can't be smart, be loud. “Never talk to waiters like that," Kit said. "Can I help it," he said, "if I only went one year to finishing school?" "It isn't manners," she said like a sensible schoolteacher quietly disciplining a small boy, "it just isn't smart." “Very much on the defensive, I admitted that I liked to read. "Sure," Sammy said, "I never said I had anything against reading books ... "
The Pastor had spent his boyhood in the old country and was not at all sure that hot water, stall showers and the like were necessary to salvation. In fact it was one of his notions that Americans were too clean. 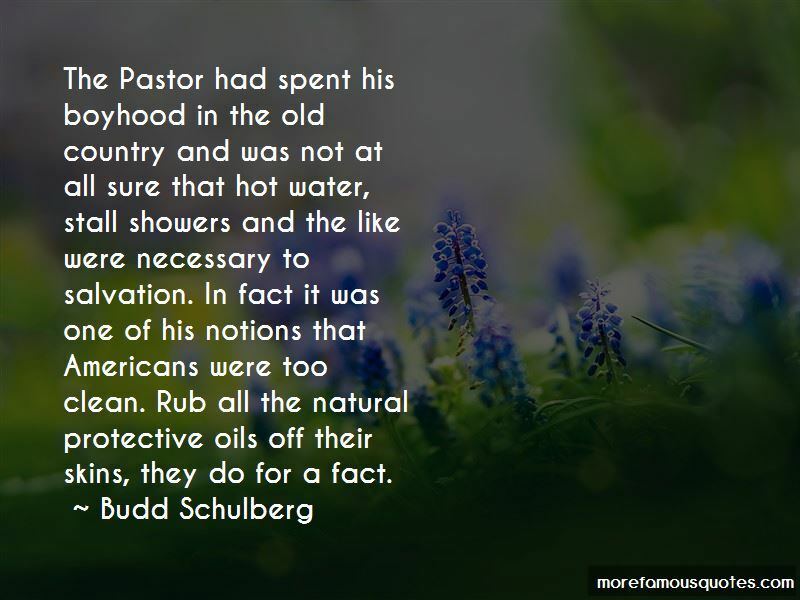 Rub all the natural protective oils off their skins, they do for a fact. First, no qualms. Not the thinnest sliver of misgiving about the value of his work. He was able to feel that the most important job in the world was putting over Monsoon. In the second place, he was as uninhibited as a performing seal. He never questioned his right to monopolize conversations or his ability to do it entertainingly. And then there was his colossal lack of perspective. This was one of his most valuable gifts, for perspective doesn't always pay. It can slow you down. The principal furniture in Billie's mind was a good-sized bed. I don't like the country. The crickets make me nervous. You know what's wrong with our waterfront? It's the love of a lousy buck. It's making the love of a buck, the cushy job, more important than the love of man. It's forgetting that every fellow down here's your brother in Christ. 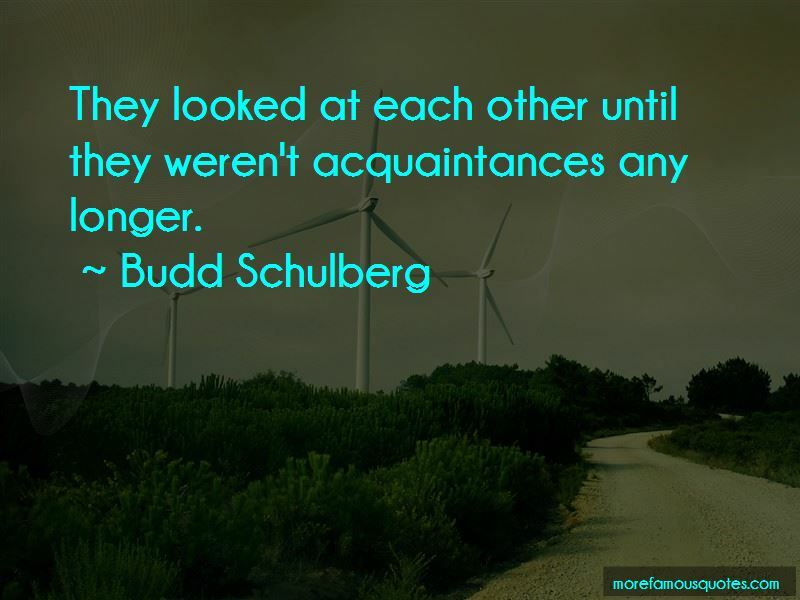 Want to see more pictures of Budd Schulberg quotes? 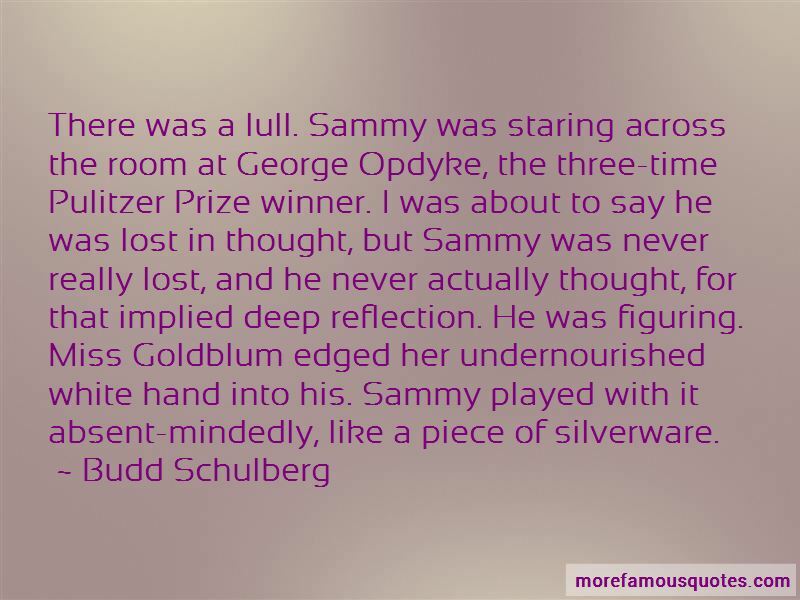 Click on image of Budd Schulberg quotes to view full size.